We're proud to do our part in honoring our country's veterans. Our duty is to provide you and your family with professional and dignified assistance during your time of need, and we promise to support you in honoring your loved one for their dedication and selfless service. An American flag flies every day at the Niewoehner Funeral Home in tribute to veterans. A special Honor and Remembrance flag is flown during the visitation and funeral of a veteran. 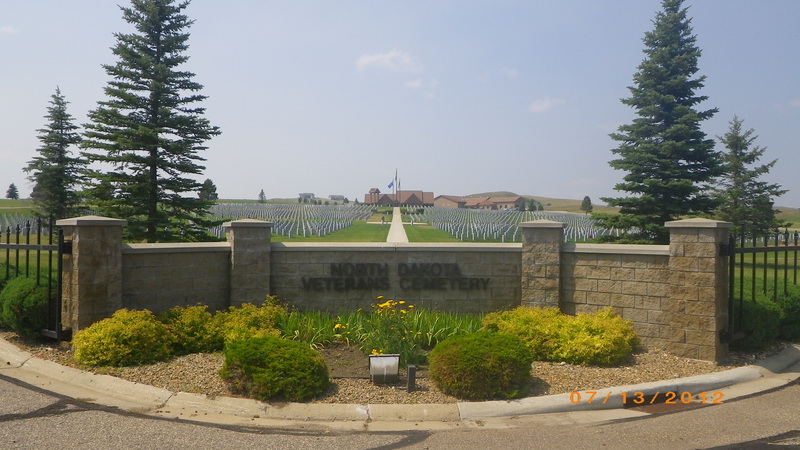 We can arrange for the burial in the North Dakota Veterans Cemetery in Mandan, North Dakota, if desired. The beautiful, well maintained cemetery is located just west of historic Fort Abraham Lincoln along the Missouri River. Any honorably discharged veteran is eligible to be buried here. The cemetery will provide the grave space, the opening and closing of the grave and placement of the veterans marker. There is no choice of where the burial is made, however. An honorable discharge paper is required and the planning for the burial can be done in advance. The veteran’s spouse and minor child are also eligible to be buried in the same grave with proper arrangements and costs. A minimum concrete outer container is required by the cemetery at the cost to the family and arranged by the funeral home. We complete all the necessary Veterans Administration forms for the family at the funeral home during funeral arrangements. We arrange for the local American Legion or Veterans of Foreign Wars groups to provide military honors for the deceased veteran. 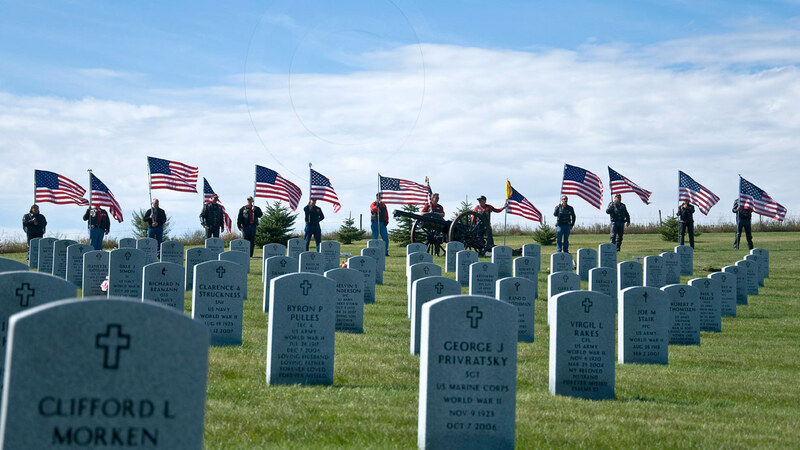 We arrange for the North Dakota Military Honor Detail to be present and provide honors at the service or burial.